As we mentioned in a previous post, the ASCAP appeals ruling keeps songwriter/publisher royalties at the same level the rest of the term, which is only through Dec. 31 of this year. After that, parties must come to a new agreement to achieve rates for the next five-year period or return to rate court. This is a final decision. The BMI ruling, on the other hand, is likely to be appealed by Pandora, so there’s still a chance that the 2.5 percent rate may not stick. One main difference between these cases is the evidence that the judges were able to consider. This likely plays a large role in the variances between what each PRO is set to receive from Pandora. So what does any of this have to do with the court cases? Well, there was a brief time in which the publishers did pull digital rights from the PROs. During this period—before the ASCAP and BMI judges ruled against such maneuvers—the publishers were able to set interim rates with Pandora in direct negotiation. BMI used these rates as evidence for a higher percentage, and Judge Stanton agreed with that logic. However, Judge Cote, who presides over ASCAP rate-setting disputes, was not in a position to consider such evidence. Why? Because the ASCAP rates term did not overlap with the brief period in which the publishers were directly negotiating licenses with Pandora. Confusing, huh? For its part, Pandora argues that these direct deals were made under duress, at a time when the publishers pulled catalog but were not forthcoming about which musical works were off-limits. Leaving the debates about rates aside, we certainly understand the liability issues that can arise if a service doesn’t have a clear sense of what they can and can’t perform. This is exacerbated in the songwriting/publishing world due to a large number of co-writer and co-publisher arrangements. Not to mention the difficulty in matching information about musical works (think notes on paper plus lyrics) with data around sound recordings (the actual performance captured to tape or hard drive). This is a transparency issue, first and foremost. In the BMI decision, Judge Stanton found that the evidence supported a higher rate, but he did not directly address issues around transparency. FMC supports raising the floor for songwriter compensation. But we are also concerned about the inherent dysfunction in the process, which can lead to highly variable rates and bad blood between services, songwriters and publishers. And that’s no way to grow a business on any side of the coin. You may have heard about the recent recommendations offered by the US Copyright Office to streamline music licensing. FMC participated in this process and made one suggestion in particular that could alleviate some of these issues. We mentioned that it might make more sense to move the rate-setting for the performances of musical works to the Copyright Royalty Board (CRB)—a trio of federal judges established by Congress to set the rates for the mechanical royalty (the duplication of an underlying musical work) as well as the rates for the digital public performance of sound recordings. 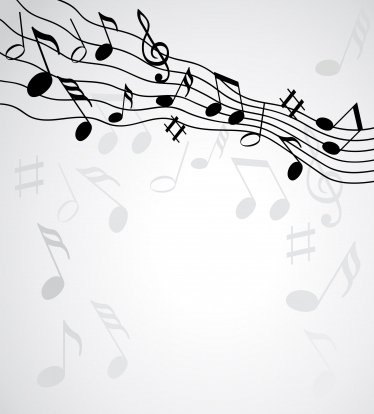 Publishers have made it very clear that they would like evidence from rate-setting for sound recordings to be admissible in proceedings for musical works. That would be far easier to implement under the same bench. Moving all “compulsory” rate-setting to the CRB would also make the sunsetting of the consent decrees less dangerous to songwriters, who rightfully worry that under direct deals, just three major publishers would have all the leverage. PROs should also endorse our concept (the Copyright Office already does), because it would mean that they would no longer have to wait to be sued in court in order to achieve a rate. The CRB would set rate determinations according to a schedule, and the proceedings would be public. More importantly to us, there would be no way for the Big Three publishers to game the system by demanding cash advances or equity in the services—money that is unlikely to be fairly apportioned to songwriters. While we are appreciative of any increase in songwriter compensation, we think there’s a lot more to be done to establish more harmony in rate-setting for musical works. We’ll continue to make the case for a transparent and equitable system for songwriters and composers—one that allows their music to reach listeners and for them to be paid fairly, accurately and on time. Submitted by Shaun Polle (not verified) on June 3, 2015 - 3:36am. this must be done with full transparency and taking care of the consent of songwriters and composers as the music starts with them.